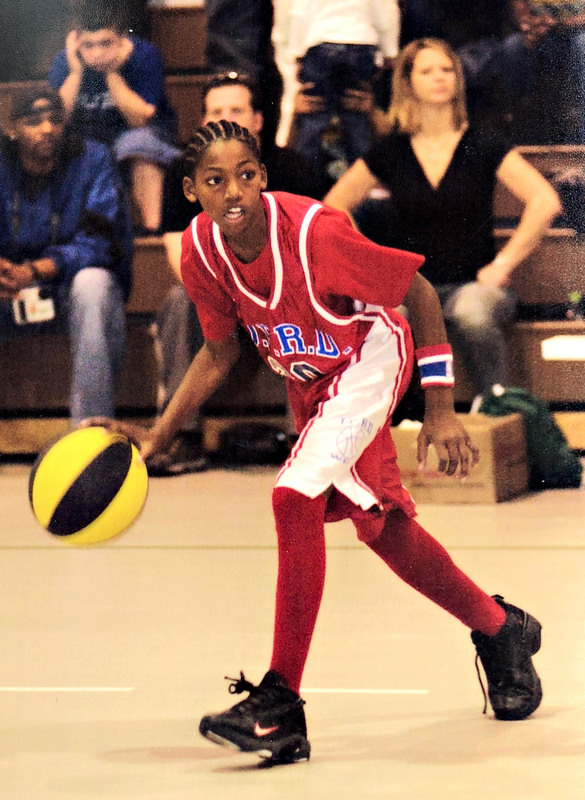 NEW ORLEANS — Elfrid Payton Sr. and Elfrid Payton Jr. both took unconventional paths from New Orleans to the pros. Payton Sr. became a star in the Canadian Football League in the ’90s. Payton Jr. is in the midst of a breakout season with his hometown New Orleans Pelicans. “The message we have is, ‘Don’t give up,’ ” Payton Sr. said. “People set their minds to do things, but you have to have the talent, work hard and make the commitment. You have to be willing to put in the work. It’s paying off for Payton Jr., who joined rare company earlier this month when he produced five straight triple-doubles — a feat previously accomplished by only Wilt Chamberlain, Oscar Robertson, Michael Jordan and Russell Westbrook. Payton Jr. has dealt with adversity in basketball since his youth in New Orleans. He was one of the smaller kids on his youth teams because he started kindergarten at 3 years old. Payton Jr. also played baseball, football, soccer and track, but he told his dad he planned to concentrate on basketball in the seventh grade. Payton Sr. offered his son tough love when he realized he was serious about it. “He was on me every day. ‘You got to give it your all. No quitting.’ He was tough on me,” Payton Jr. said. 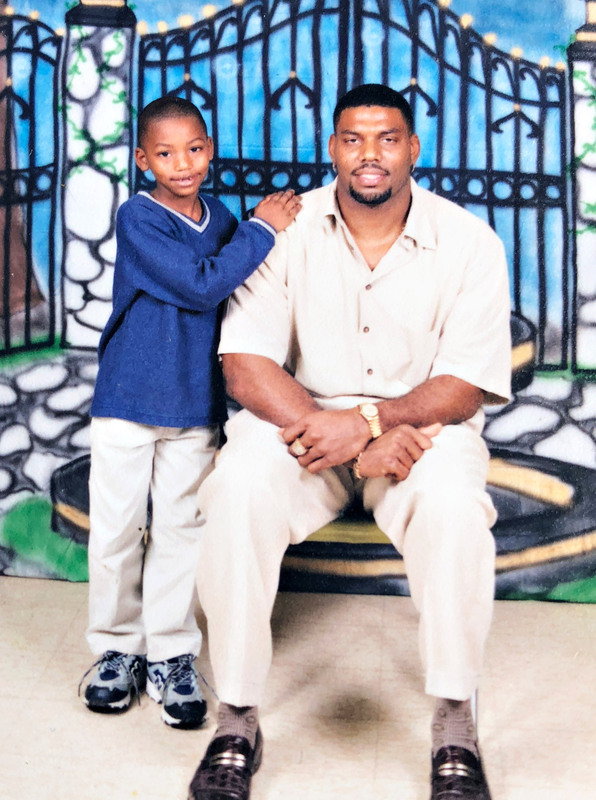 Elfrid Payton Jr. (left) learned many lessons about overcoming obstacles from his father (right). Photo Courtesy of Elfrid Payton Jr.
Payton Sr. understands what it takes to beat the odds and become a star athlete. In 1986, Payton Sr. accepted a recommendation from his high school football coach to attend Grambling. He was confident he was good enough to make the football team as a walk-on, but first he had to become academically eligible after struggling in high school. Arriving as a 175-pound nose guard in 1987, Payton Sr. didn’t appear to be a promising prospect. But he got legendary Grambling football coach Eddie Robinson’s attention with his hard hits in practice. “I was knocking people’s head off their shoulders. ‘Pow,’ ” Payton Sr. said. “Knocking their head clean off their shoulder. Back then that wasn’t illegal, all the head shots. ‘Pow.’ Man, then they started putting me on scout team against the first team. I’m shutting practice down. Two years after starring at Grambling, Payton Sr. attracted interest from the Canadian Football League after taking part in a tryout in New Orleans. He said he produced a great 40-yard sprint time that was aided by a slightly shorter route. In 1991, he signed with the Winnipeg Blue Bombers as a free agent and finished with 37 tackles and six sacks that season. Nicknamed “SWAC” for playing collegiately in the Southwestern Athletic Conference, the linebacker/defensive end enjoyed a 13-year CFL career that included stints with Winnipeg, Shreveport, Baltimore, Montreal and Toronto and won the Grey Cup in 1995. He also had a tryout with the NFL’s New Orleans Saints. Payton Sr.’s 154 sacks ranked him second in CFL history when he retired in 2004. His dances after sacks can be found on YouTube. And he was named to the CFL Hall of Fame in 2010. 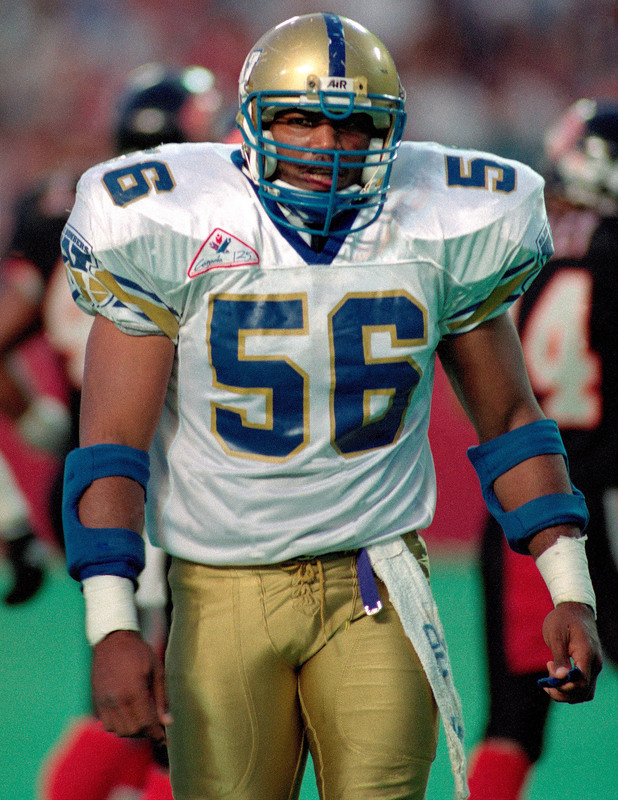 Elfrid Payton with the Winnipeg Blue Bombers in 1993. Payton Jr., meanwhile, enjoyed watching his father play pro football and often spent time with him during the summer in the early part of the CFL season. His dad fondly recalled his son being on the field throwing a football before games. Payton Sr. also passed on many lessons to his son. Payton Sr., who was one of 26 pallbearers at Robinson’s funeral in 2007, described his college coach as a motivator who could persuade his players to “run through a wall” and taught you “life skills and how to be a man.” He told his son many stories about Robinson. A skinny point guard, Elfrid Payton Jr. wasn’t highly recruited. On the junior varsity team at John Ehret High School in the New Orleans suburb of Gretna, Payton Jr. stood a rail-thin 5 feet, 9 inches tall. By the time he was a senior, he grew to about 6 feet, 2 inches, but he was still superskinny and just 16 years old. However, he was suddenly a tall point guard. Payton Jr. averaged 12.8 points, 5.2 assists and 4.1 steals as a senior at Ehret in 2010-11 while leading the school to a 30-4 record. Despite earning local and state honors, he wasn’t on the national recruiting map and was barely on Louisiana’s radar, for that matter. The first scholarship offer he landed was from historically black Xavier University of Louisiana in New Orleans, an NAIA member. After his senior season, he received his lone Division I scholarship offer from the University of Louisiana, Lafayette. Payton Sr. said even his alma mater, Grambling University, didn’t show interest in his son after he reached out. So Payton Jr. took the highest-level basketball scholarship offer he had from Louisiana-Lafayette, where he quickly went from an unknown to an NBA prospect. The 2013 All-Sun Belt Conference selection averaged 15.9 points, 5.6 rebounds, 5.5 assists and 2.4 steals per game as a sophomore. His play led to a roster spot on the United States’ 2013 FIBA Under-19 World Championship team, which won the gold medal. Payton Jr. stood out among such college stars as Aaron Gordon, Marcus Smart and Jahlil Okafor. “It got crazy after Elfrid started every game on the under-19 team,” Payton Sr. said. As a junior, Payton averaged 19.2 points, 5.9 assists, 6.0 rebounds and 2.3 steals per game and led the Ragin’ Cajuns to the 2014 NCAA tournament. He won the 2014 Lefty Driesell Award, given to the best defender in college basketball, and was taken 10th overall in the 2014 NBA draft by the Philadelphia 76ers, who traded him to Orlando on draft night. Will LeBron James and his son Bronny play in the NBA together like Ken Griffey Jr. and his father did on the Seattle Mariners? Payton Jr.’s pro career started off in promising fashion with the Orlando Magic, as he made the 2015 NBA All-Rookie first team. He averaged 11.1 points, 6.4 assists and 4.2 rebounds primarily as a starter from 2014 to 2018. But the Magic never made the postseason during that span, which included four different head coaches. And Payton Jr.’s shooting and defense were big question marks. On Feb. 6, 2018, his world was rocked when his 69-year-old grandfather, Willis Clofer, died of cancer. Two days after Clofer died, the Magic traded Payton Jr. to the Phoenix Suns for a second-round pick. Payton Jr. averaged 11.8 points, 5.3 assists and 4.4 rebounds in 19 games for the Suns. Unfortunately, he was still known more for his former hairstyle than his NBA play. In free agency, Payton Jr. got the fresh start he was looking for, landing a one-year, $3 million contract with the Pelicans. After his family survived Hurricane Katrina to return to New Orleans, Payton Jr. said, he has a lot of pride playing at home. New Orleans has had a miserable 2018-19 season, including the messy trade request by Anthony Davis and the firing of general manager Dell Demps. The Pelicans will miss the postseason and have one of the league’s worst records. Payton Jr. also struggled to stay healthy, missing 40 games to injury and dealing with a recent wrist ailment. But when healthy, Payton Jr. has been productive for New Orleans, averaging career highs of 7.4 assists and 5.4 rebounds per game despite his lowest usage rate since his rookie season. Payton Jr. trails only LeBron James in assists per game since the All-Star break (9.1 to 9.5). He’s also averaging career highs in 3-point attempts per game (2.3) and free throw percentage (.730). The 25-year-old credits coming home, offseason weight training and a healthy diet for his improvement. Payton Sr. told his son to “continue to put God first and keep grinding” through his NBA struggles. That mindset worked for the CFL Hall of Famer, who will also be inducted into the Grambling Hall of Fame in July. And that fatherly advice is working for his son in New Orleans.